True HD imaging for scientific and industrial applications. Capture 6MP still images. 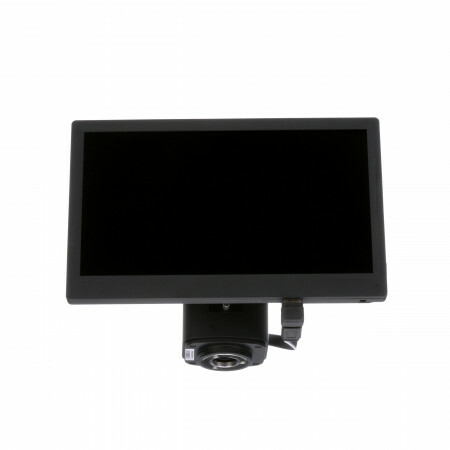 Use the included 11.6" HD monitor to view and capture images without a PC. Built-in mouse control software for HDMI viewing and recording without a computer. Simultaneous live image output to an HD monitor and to a PC via USB2.0 (PC not included). Perform measurements on live HD images. Fluorescence imaging with high signal-to-noise, exposure times from 1ms to 10 seconds and 20 Gain levels. Monitor mounts directly to the Excelis HD camera body for convenient access and doesn't take up valuable bench space. CaptaVision Imaging Software (included) extends the capabilities of the Excelis HD with advanced image processing and measurement features (requires PC; not included). Standard C-mount easily adapts to most microscopes; 0.5x camera adapter recommended.